Sustainable Design is the philosophy of designing buildings to comply with the principles of economic, social, and ecological sustainability. There is very little sustainable design in Fullerton, mostly due to the lack of vision by the city and its favored developers. How Much Mixed-Use Do We Need? 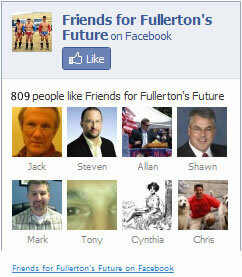 Fullerton Decision-makers Lied To. So What’s New? Happy 50th Anniversary Sunny Hills H.S.! One of the things that grabs the first time visitor are the trees. Giant oaks draped with Spanish moss. In fact, the moss takes over every thing, from trees to camellias and azaleas. But the greenery seems to hold the entire city together giving it a level of comfort and sophistication.